The John Paul II Academy BASC nurtures the students we serve academically and socially. A safe and inviting atmosphere for the students in our care is our strongest commitment. The staff and structure of the program at BASC provide an atmosphere of trust and respect that is a reinforcement of our Catholic tradition. Every child is guided in using his/her own conscious to develop the ability to make positive choices that instill respect, self-esteem and appreciation for one another. 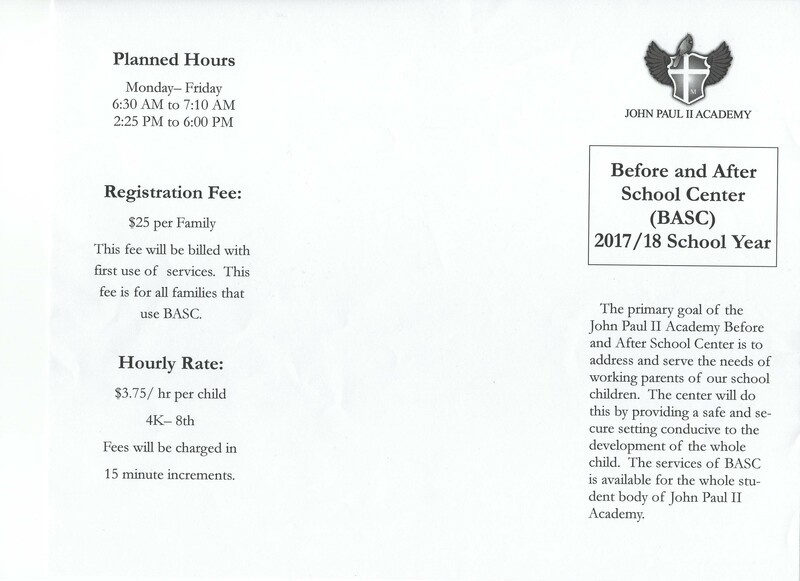 The Before and After School Center is designed to serve all families of John Paul II Academy. If you are planning on using the center every day or every once in a while we have a feasible payment plan for you to choose from. The staff of the BASC constantly strive for not only the excellent care of the children but at the most cost efficient price for you. 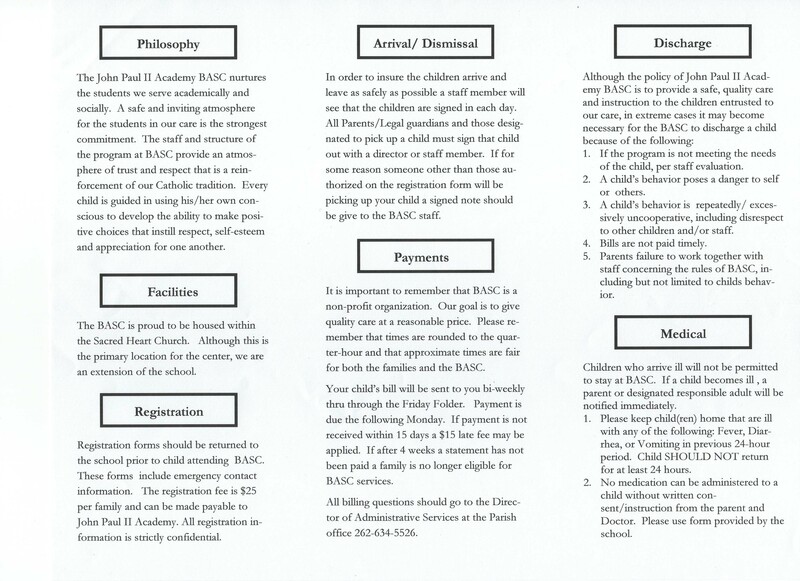 The BASC is proud to be housed within the Sacred Heart Church. Although this is the primary location for the center, we are an extension of the school. The program has grown from a sincere love for children and a desire to benefit the families of John Paul II Academy. You are invited to visit the BASC at any time without an appointment, however, if you have a specific issue to discuss, an appointment with the director would be helpful.